This Zenith Award is designed to represent growth with its increasing scale, making it an excellent award for someone that has shown improvement. A blue crystal accent attached to the base shines through the optic crystal and outlines the beveled graph with a pop of color. 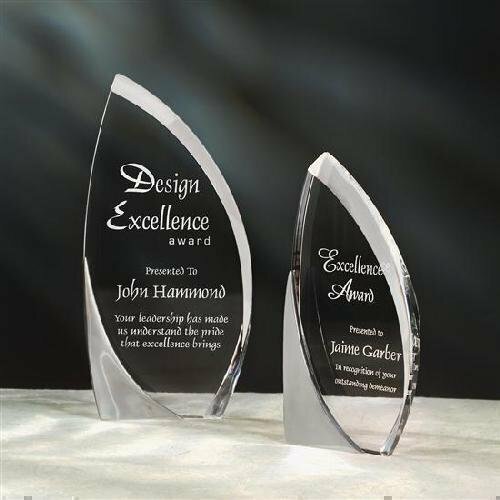 This award offers two etch areas, with detailed beveled designs on both the top and base. Base attached.